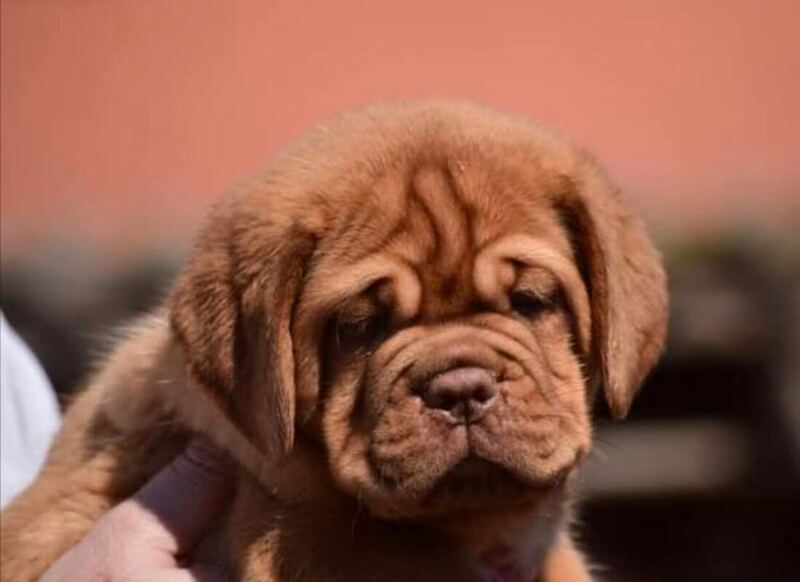 Sometimes referred to as the French Mastiff, the Dogue de Bordeaux falls into a group of dogs classified as the Molosser, descendants of the Molossus. A dog that lived approximately 700 B.C, the Molossus were kept as guard and hunting dogs by the Assyrians. Originally kept for cattle droving and guarding the vineyards in Bordeaux, this dog has survived near extinction. Characterized by the largest, most magnificent head in the dogdom with a wrinkled face and very large paws. The impressive presence of the Dogue de Bordeaux is a great deterrent to thieves. Despite their intimidating appearance, the Dogue de Bordeaux is a charmer who loves to be with people, especially children. 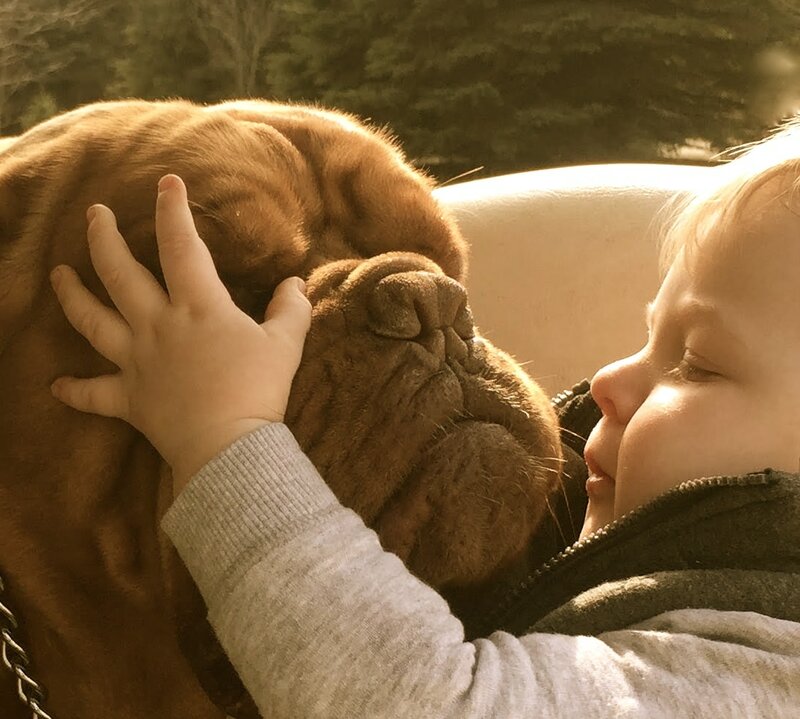 We are Adam & Kara Hubler...located in Central Michigan out in the country where our Dogue de Bordeauxs are family raised and socialized for temperament and stability. Puppies are carefully examined by our veterinarian, wormed and vaccinated before leaving our nest to join your family. Pups are sold with a written health guarantee, along with lifetime breeder support if you ever have any questions. We have invested a great deal of time, effort and money to help insure that the puppies we have available are of the highest quality in regards to health, socialization and breed standard. 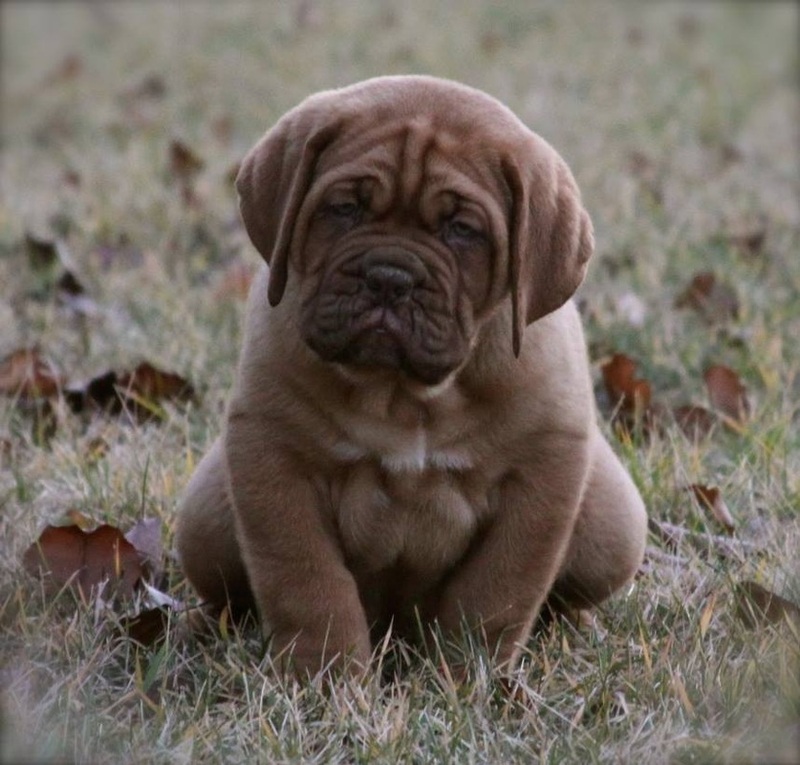 The Dogue de Bordeaux is a powerful muscular dog that makes an excellent guard to both person and property. Like all molosser - type dogs, the Dogue de Bordeaux has strong nerves and is not easily excited. Their personality is balanced, quiet and calm, not given to unnecessary barking unless sufficient reason....such as an intruder. Dogue de Bordeauxs are very good with children and are a companion that has alot of patience. They are happy to be with their family and to be a part of their games. And don't forget swimming.....love love love to swim! I often refer to them as giant teddy bears. They will be your constant companion....a very loyal family dog. They will steal your heart with their affection and loyalty. 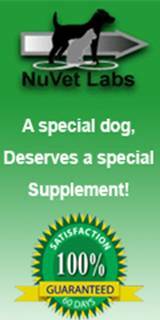 At The Vinyard Bordeauxs we use and highly recommend the Nu Vet Supplement for both adult and puppies. We all know how much we love and adore our Bordeauxs...Our Dogues are like family to us. So it just makes sense that we would give them the best in supplemental care. 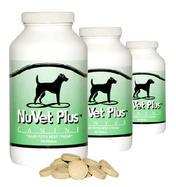 NuVet only uses the finest in pharmaceutical, human quality ingredients and is FDA approved.